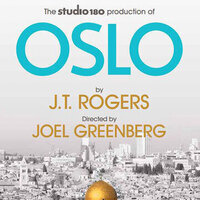 Inspired by the true story of the back-channel talks, unlikely friendships and quiet heroics that led to the Oslo Peace Accords, Oslo is a deeply personal story set against a complex historical canvas, a story about the individuals behind world history and their all too human ambitions. At this cultural moment when finding common ground is paramount, "Oslo gives us hope" (Daily News). I'm interested in this play. Toronto event is providing the best place for both artist and http://tourvangogh.nl/	viewers.for the performers it provides the best stage for showcasing there talents and skills. And for the viewers, it provides the best place to experience the real talents of different artist all over the world. First time i have try the different type option to download settings windows 10 http://syncsettingswindows10.com but microsoft provide the best of best solution,and i think you try to understand this process.